The latest book about Steve Jobs suggests the late Apple cofounder's dislike of TV was one reason he terminated a 1990s personal computer called the Twentieth Anniversary Macintosh (TAM). The expensive, short-lived machine was launched in March 1997, months before Jobs resumed leadership of the firm as part of its purchase of NeXT. It had a tuner that would have allowed it to double as a TV set, and that didn't sit well with Jobs. "I just don't like television. Apple will never make a TV again," Jobs is quoted as saying in a Fast Company excerpt from "Becoming Steve Jobs: The Evolution of a Reckless Upstart into a Visionary Leader" by Jobs interviewer Brent Schlender and Fast Company editor Rick Tetzeli. "We're pushing design extremely aggressively as we close the millennium," Ive said in a promo video for the computer. "This was Jony's introduction to Steve's coldhearted decision-making," the book relates. Ironically, Apple launched its Apple TV network appliance in 2007, and has gone on to sell 25 million units. "We don't think that televisions and personal computers are going to merge," Jobs told Macworld in 2004 when discussing the 20th anniversary of the Macintosh. "We think basically you watch television to turn your brain off, and you work on your computer when you want to turn your brain on." 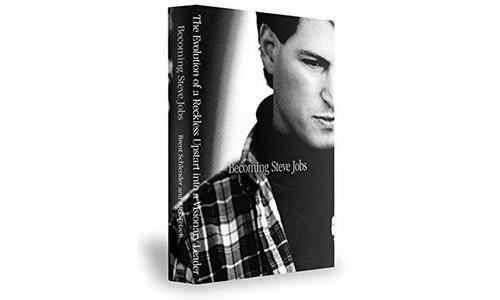 "Becoming Steve Jobs" is set to be released March 24.